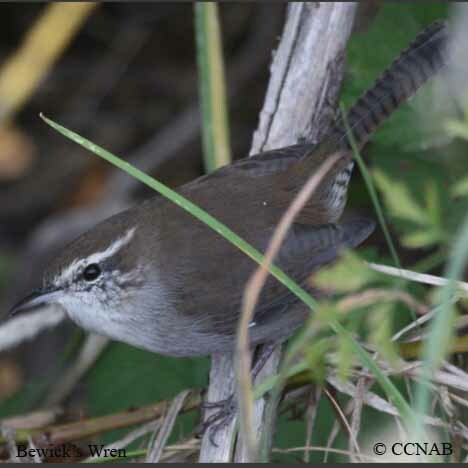 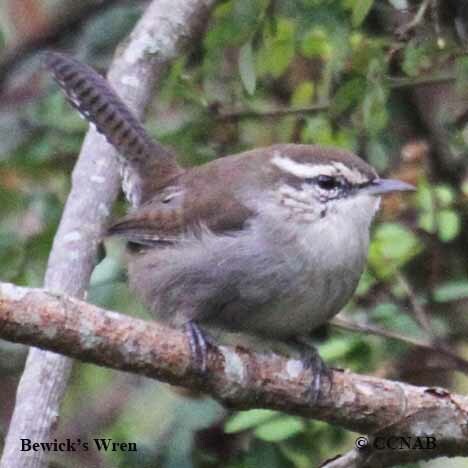 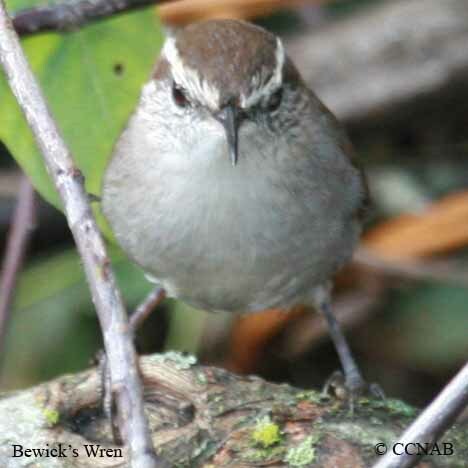 The Bewick's Wren is pronounced Buick's. 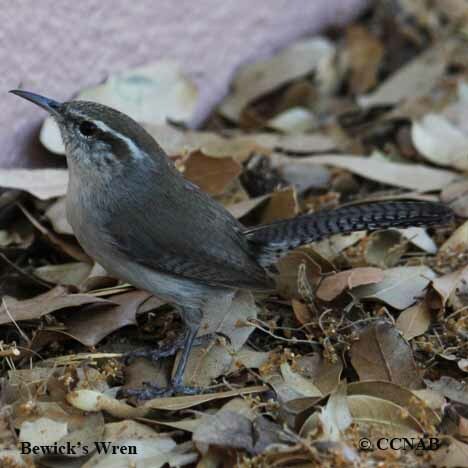 It can be found in western states and the south central states of the US. 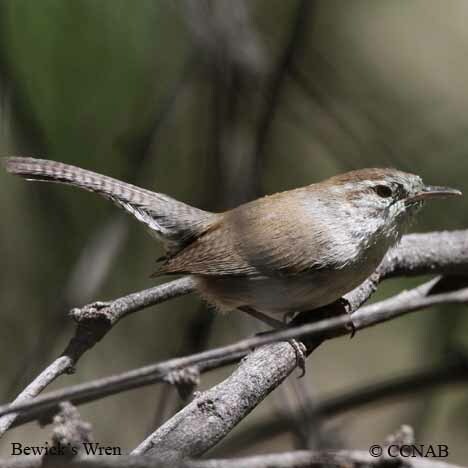 This small bird lives in thickets and undergrowths where it finds food and shelter. 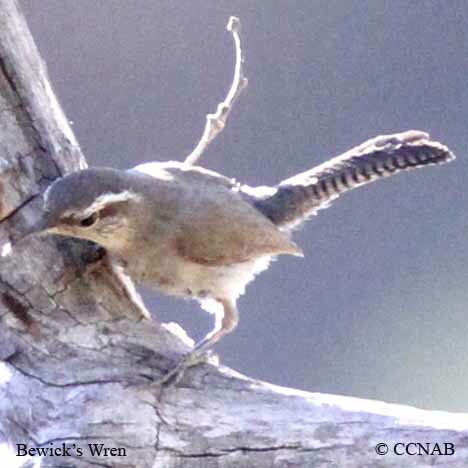 There is a grey western coloured sub-species and a rufous coloured eastern sub-species of this wren.